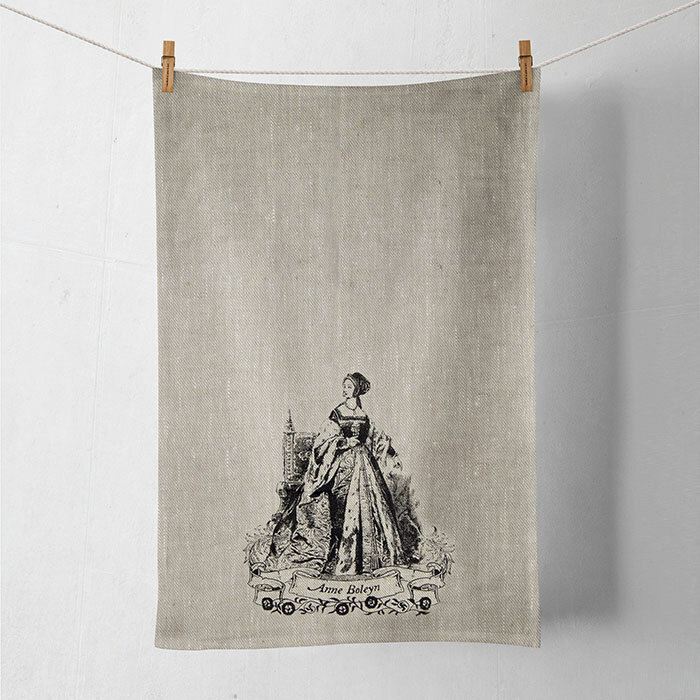 This linen tea towel features a design by Tiffini Elektra X based on a vintage engraving of Anne Boleyn. 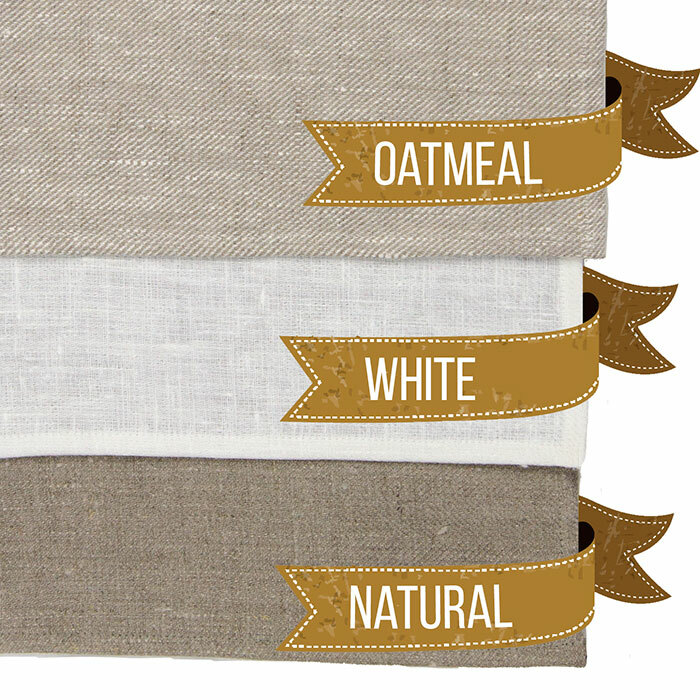 Classic neutral colours, pure fabric and simple design and styling make these linen towels timeless and functional. Lint-free and absorbent, these fine linen towels are excellent for covering rising bread dough, drying pots and pans, shining glassware and flatware, dusting and cleaning. A perfect and stylish all-purpose working towel for the kitchen and throughout the home. 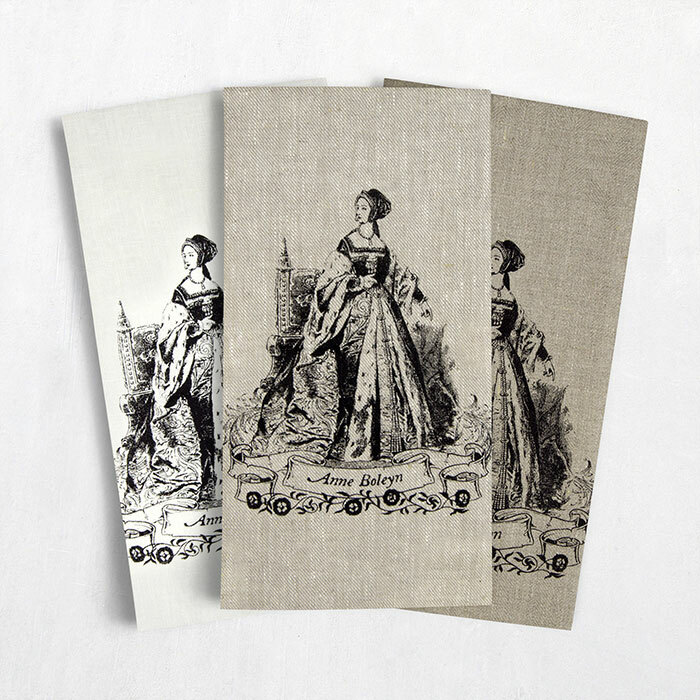 Soft, absorbent and superb quality, 100% linen tea towels. Hemmed on all four sides with a handy hanging loop. 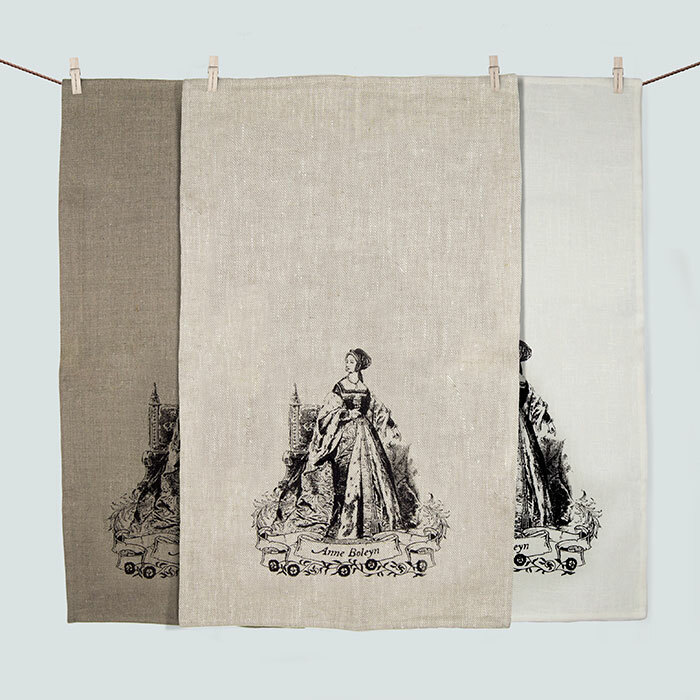 Linen tea towels become softer and more absorbent wash after wash due to their hollow fibres. Linen is also lint-free, so won't leave any bits of fluff on your glassware, and is 30% stronger than cotton, making it lovely and durable for use around the home. Dimensions: measures approx. 42 x 75 cm (16.5" x 29.5"). These towels have not been pre-washed and will have a small amount of shrinkage on the first washing. 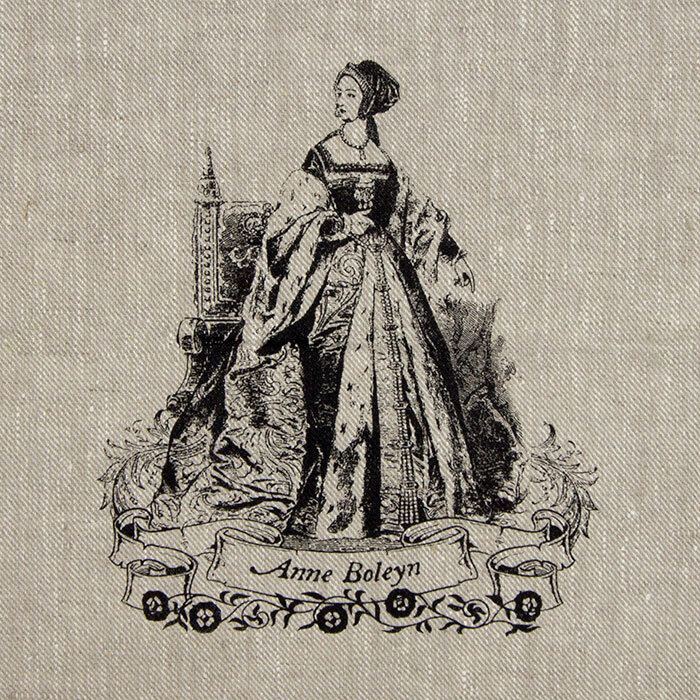 This is the case with all pure linen. Tartx linen towels continue to increase in absorbency and will become softer with use. They will also maintain their colour integrity wash after wash.
Towel Colours Available: White, Oatmeal and Natural linen. Machine wash cold or warm up to 40°C , machine or line dry and iron when needed. Best to iron on the underside whilst damp. Meticulously screen-printed with love by hand using non-toxic, eco-friendly water based textile inks that are soft to the touch and food safe. Waterbased inks are not only better for the environment and for our health, they also get softer with every wash and will not crack over time. Printed in Colorado, USA, and shipped worldwide. See More Details for images.